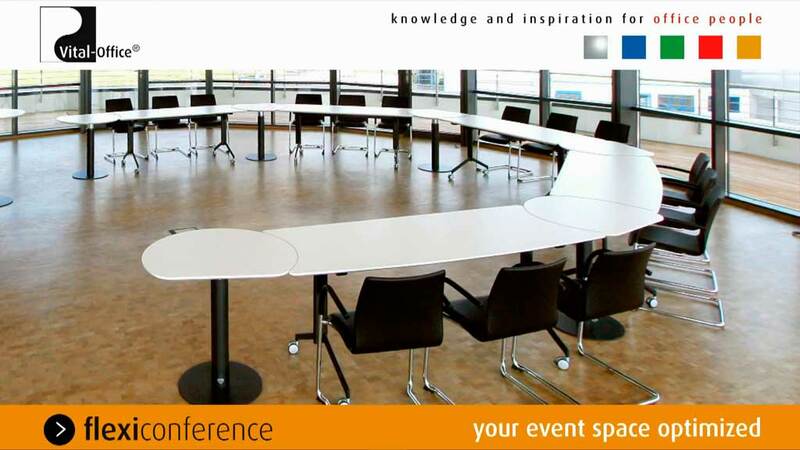 Flexiconference is a concept developed by Vital Office to handle the high demands of a modern and flexible conference room. Flexiconference makes it possible to adjust to a conference room, seminar room or training room and to meet each of its requirements. 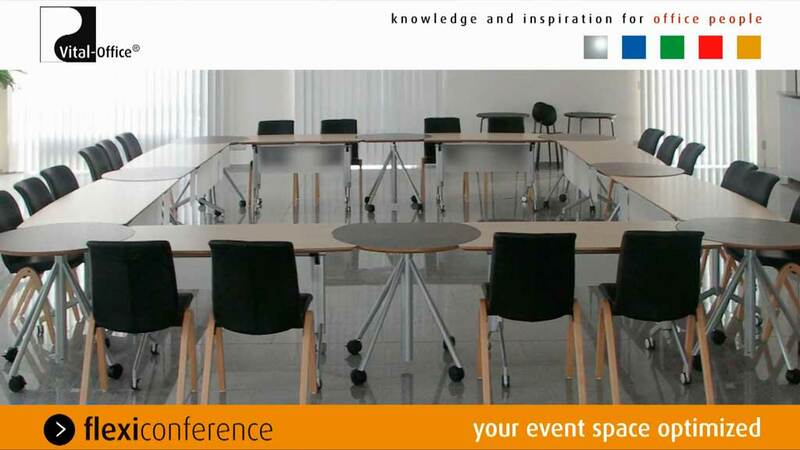 You’ll be able to benefit from the various adjustments of Flexiconference’s folding tables and folding chairs. A relaxed meeting in a small group with a classic formal arrangement. Clearly and distinctively structured into a large conference room. Smaller or larger groups for seminars or trainings. Concept proposals in smaller rooms or larger product presentations with more participants. With Vital Office Flexi Conference you can easily arrange your conferences, presentations and trainings to fit your needs – best suited to the situation and number of participants. 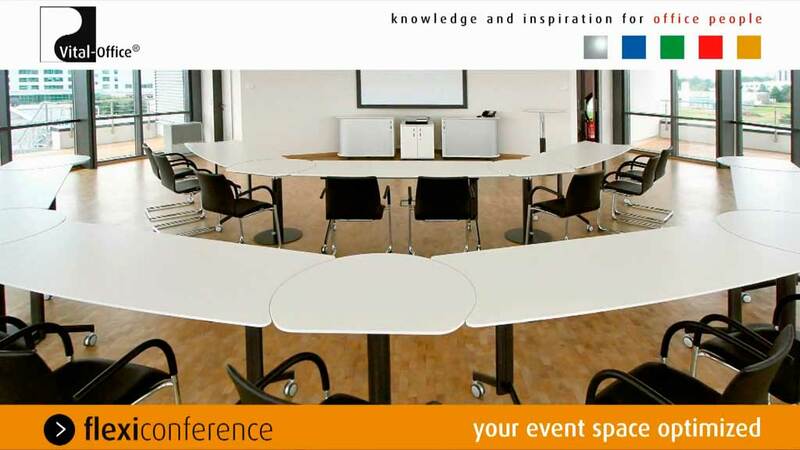 Your benefit: Only 2 table-top forms enable you optimal arrangements for your meeting, presentation, conference, training, banquet, event and reception.